We build, so you can deliver. 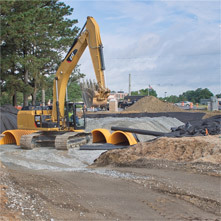 Since 1972, Dulaine Contracting’s experience in contracting services for municipal, industrial and educational facilties provides our customers a high level of assurance that the project will be completed on time and within budget. 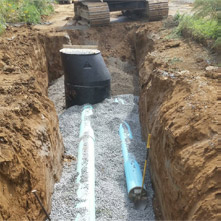 Comprehensive Infrastructure Services for all of New Jersey, eastern Pennsylvania, and southern New York. 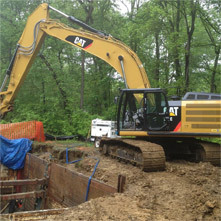 Serving the Tri-State area with the top construction services in water and waste water construction. Dulaine Contracting, Inc. has completed municipal, industrial and educational facility improvements throughout New Jersey, eastern Pennsylvania, and southern New York. We offer full civil, mechanical, structural, and electrical services. 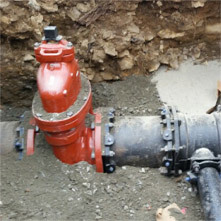 For over 45 years, Dulaine Contracting has serviced water and wastewater treatment facilities in order to rehabilitate, repair and install new and existing water pollution control systems along with the contracting services. 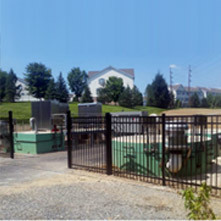 Dulaine Contracting has performed design/build contracts in partnership with qualified engineering firms including the permitting, design and construction of wastewater treatment facilities for the municipalities throughout New Jersey, eastern Pennsylvania and southern New York.